Get your very own exclusive web address and secure your online identity. A domain name can say a lot about you and your business. 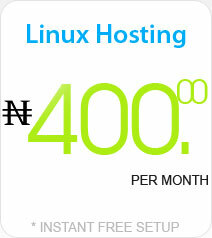 It can greatly improve your chances of being found on the Web, Within and outside Nigeria. Our quick and easy domain name search tool will check if your desired domain names are available. Secure your online identity today. And remember, if you don’t register it, someone else just might! Add ID PROTECT to your new domain during the domain registration process.